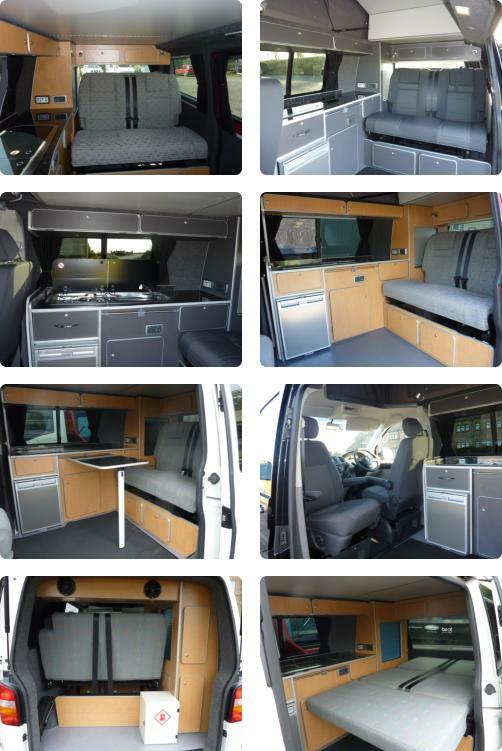 Powertec are specialists in VW T5 Camper Conversions. 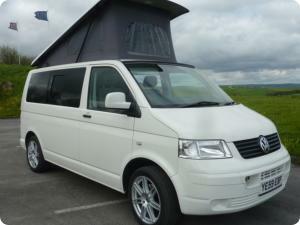 We can supply you with a brand new or used VW T5, or you can bring your own for us to convert. Each conversion is fitted with a genuine REIMO elevating roof and top quality RIB double seat/bed with integrated headrests and 3 point seat belts. 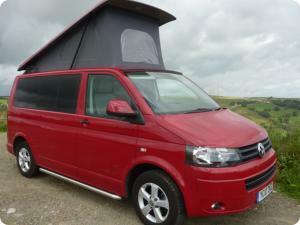 All seating has matching upholstery and the passenger seat is fitted with a swivel base. The kitchen is fitted with a Waeco CR50 compressor fridge and a Smev 2 burner hob and sink with glass lids. The conversion has plenty of storage space and a large wardrobe along with 240V electric hook up and a Sargeant management system with leisure battery. Finance can be arranged subject to conditions. Phone 01484 842293 for further details.